With rapid improvements in diagnostic techniques and therapy in ophthalmology, there has been a reduction in the incidence of blindness but also a exponential increase in the number of patients suffering from impaired vision and therefore no longer autonomous, as a result vision rehabilitation has become a distinct discipline within ophthalmology. Visual impairment causes a lowering in the standard of living. Those studying low vision and vision rehabilitation are looking for clinical-rehabilitative solutions to this problem. The objective of low vision is thus to define the appropriate means to aid the conservation, utilization and enhancement of residual vision in low vision patients. One of the subjects in the study of low vision is the containment of visual damage caused by eye diseases, and the evaluation of residual vision performance and enhancement. Low vision recognizes the importance of small functional gains that have significant effects on the standard of living and deals with mechanisms that can strengthen this recovery. Low Vision Academy is an association of international importance which aims to develop guidelines for visual rehabilitation, and seeks to encourage the development of new therapeutic strategies, to promote multi-disciplinary collaboration and contribute to the training of personnel in various disciplines. a. The study of more advanced diagnostic standards for identifying residual functional performance in low vision patients. b. The strengthening of impaired vision through vision rehabilitation using visual aids, in order to restore, through the use of residual functional areas, sufficient reading skills to perform normal activities relating to study and work. 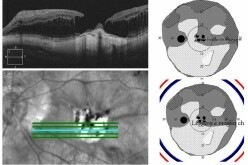 c. The strengthening of impaired vision by means of visual training techniques, visual biofeedback or neural photostimulation, in order to stabilise fixation in areas of residual vision and to improve sensitivity by implementing the use of aids. d. The reinforcement of compromised vision through supportive therapies based on antioxidants and neurotrophic substances, able to enhance neuroprotection and neuromodulation and boost the recovery of neuroretinal functions. 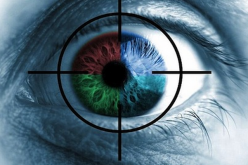 e. The strengthening of impaired vision through surgical applications for rehabilitation purposes, through phacoemulsification intervention, IOL implantations, phakic IOLs, refractive treatments aimed at increasing the residual visual performance. f. The reinforcement of compromised vision through the study and the subsequent use of regenerative treatments to the retina and nerve fibers, through the use of growth factors, autologous cells, stem cells, likely to enhance neuroplasticity, the repairing and replacing of the damaged parts of the neuroretinal system, with the aim of strengthening the recovery of neuroretinal functions. g. Prevention, obtained through the study of diagnostic, therapeutic and behavioural modalities aimed at avoiding low vision. h. The integration of the above mentioned fields in order to minimise the complications of neuroretinal degeneration. Paolo Giuseppe Limoli (Milan), ophthalmologist, Scientific Director of the Research Centre Low Vision, Scientific Secretary of the Low Vision Academy, member of the Association of Research on Vision and Ophthalmology, member of the Italian Ophthalmology Society, Vice-President of the European Society of Simulation in Ophthalmology. Enzo Maria Vingolo (Latina), ophthalmologist, Polo Pontino Ophthalmology Department, Vice President of the Low Vision Academy, member of the Association of Research on Vision and Ophthalmology, member of the Italian Ophthalmology Society, member of the European Society of Simulation in Ophthalmology. Sergio Zaccaria Scalinci (Bologna), ophthalmologist, Department of Medical and Surgical Sciences (DIMEC), University of Bologna, Italy, President of the Low Vision Academy, member of the Association of Research on Vision and Ophthalmology, member of the Italian Ophthalmology Society, member of the European Society of Simulation in Ophthalmology. Mario Bifani (Naples), ophthalmologist, ophthalmology Department, Second University of Naples, Vice President of the Low Vision Academy, member of the Italian Ophthalmology Society. Luigi Mele (Naples), ophthalmologist, Ophthalmology Department, Second University of Naples, Department of Health SASN, member of the Low Vision Academy, member of the Italian Ophthalmology Society, member of the Italian Ophthalmology Counsel Society. Roberto Iazzolino (Milan), Industrial Expert in Optics and Glass Technology, Director of the Low Vision Academy, member of PRISM, VCO Vision Council of America. Paolo Carelli (Napoli), Optician by Optical Store Cav. R. Sacco Opticians Since 1802. Affiliations: PRISMA, Low Vision Academy, Federottica, AILAC. Massimo Cesareo (Roma), Ophthalmologist, Head Low Vision CRR Policlinico Tor Vergata, University of Tor Vergata. Affiliations: SOI, ARVO. Gianfrancesco Villani (Verona), Ophthalmologist, Visually Impaired Rehabilitation Center Microperimetry (CRIM), Hospital of Marzana – ULSS 20 (VR). Marco Rosso (Cuneo), Tiflologist-educator in Fossano (CN), Tiflologisy IRIFOR (UICI), Consultant at Rehabilitation Center. Emanuela Tedeschi (Roma), Ophthalmologist, Low Vision Service Manager George Eastman Hospital, Rome, President AMD Onlus. Massimiliano Parla (Roma), Lawyer, President SCUDOMED, association dedicated to the promotion and study of approaches forensic medical profession. Michele Jurilli (Genova), Optician, Head of Research and Development at FONDA Srl, a director of Polo Research on Life Sciences SI4Life. Laura Gagliano (Roma), Assistants in ophthalmology, La Sapienza University. Valentina Di Gigli (Roma), Assistants in ophthalmology, La Sapienza University. Roberta Muratori (Roma), Assistants in ophthalmology, La Sapienza University. Martina Ghillani (Piacenza), Assistants in ophthalmology, Low Vision Center Piacenza. Maurizio Licata (Treviso), Coordinator Low Vision Center, Conegliano Veneto (TV). Yuri Nalini (Verona), Optician and Assistants in ophthalmology, Low Vision Center Marzana (VR). Diego Robutti (Alessandria), Assistants in ophthalmology at Dr. Giorgio Vellani Private Practice, Valenza (AL). Annapaola Ugolini, (Rimini), Optician at Mancini Optical Store.